Miss Fake It 'Til You Make It: How to makeover your makeup bag for under $20? How to makeover your makeup bag for under $20? Looking to overhaul your makeup bag without breaking the bank? The answer for high-quality, low-cost essentials is e.l.f. Cosmetics. This diverse beauty brand boasts everything beauty from high-pigment color collections to soft, durable brushes. Transform your face into a flawless and smooth canvas with the Mineral Infused Face Primer. Developed to combat against excess oil, flaky dryness, enlarged pores and fine lines. This clear multipurpose skin primer will prepare your skin so makeup goes on evenly for a long lasting satin finish. Features a new and improved air pump! For best results, you may need to pump the component several times before product dispenses. Specially sheered brush tip absorbs the perfect amount of eye shadow and provides long lasting color saturation. The comfort curved brush contours the eye with natural gliding strokes for easy and accurate eye shadow application. This soft pencil defines and shades the eye with rich blendable color so you can use it as an eyeliner or eyeshadow. Infused with Cocoa Butter, Shea Butter, Coconut, Jojoba, Mango and Sandalwood Oil to condition and nourish the skin. The easy glide formula is perfect for creating a dramatic smoky eye. This dual-ended pencil includes a sponge tip on one end for blending and a built-in sharpener cap for convenient sharpening. 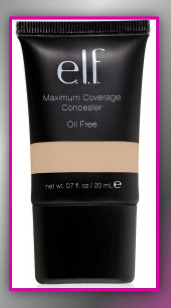 Maximum Coverage Concealer provides blendable, wearable, customizable coverage for body and face. The Oil Free formula is perfect for hiding tattoos, birth marks, dark circles, blemishes, scars and more. Highly pigmented for for long-lasting, ultimate coverage and confidence! 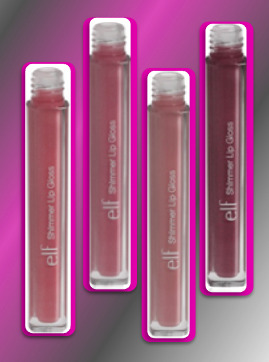 This high shine lip gloss is infused with dazzling shimmer that gives the perfect amount of sparkle for instant dimension on lips. The non-sticky, lightweight formula is rich and soothing for comfortable wear. Accent your manicure with dazzling Glitter Nail Polish. 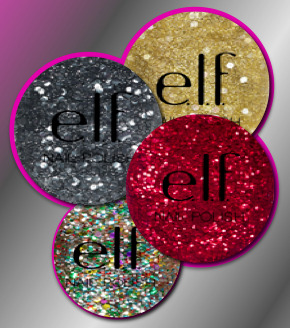 Each glitter top coat features different glitter effects for a range of sparkling options that best reflect your personal style. 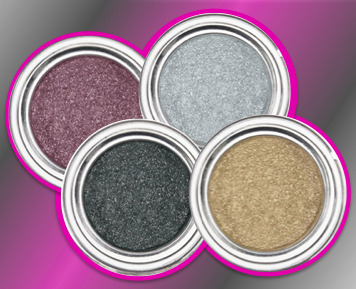 The bristle design glides color on flawlessly, and quick dry formula gives perfect application every time. Key nutrients infused with Vitamin E for stronger, healthier nails. Wanna try it out for yourself? e.l.f. cosmetics is opening of its first-ever retail flagship in home-town New York City, on Broadway in Greenwich Village. The 1,000 square-foot e.l.f. 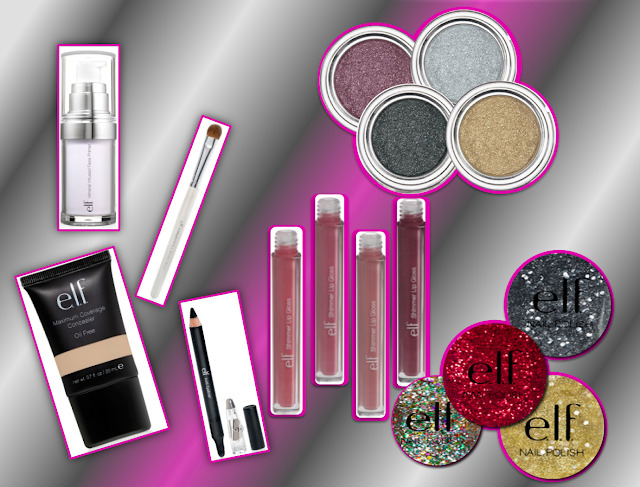 Studio Store is a color-mecca offering collections from the e.l.f. portfolio including essentials ($1 - $2. ), studio ($3 - $6) and mineral ($3- $8) topping out with approximately 600 products on-shelf. The energy of the new digs, located at 741 Broadway, reflects a youthful vibe with loud music, while the sleek white and silver aesthetic is a powerful draw.